An independent retail concept for independent brands to showcase their merchandise alongside already well-established brands. 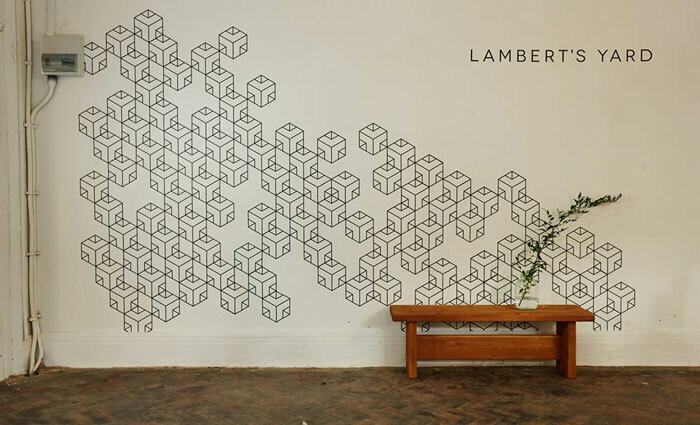 Since Lambert’s Yard opened its doors as both a physical and online space it has rapidly become one of the ‘go-to’ destinations in Leeds. Together with their support of the Leeds fashion Initiative (an initiative aimed at revitalising the regional fashion, manufacturing and textile industries), part of Lambert's Yard's mission was to open up access to its previously disused building; the fabulous Grade II-Listed 'Lambert’s House' and create a space not only selling high-end fashion, but also to showcase the work of some of the country’s most exciting up-and-coming young designers. Touchretail were appointed to supply a modern and flexible EPOS solution together with their proven Magento e-commerce connector, both in turn powered by the TRIMS inventory management system. With previous attempts at sourcing the right solution proving wanting in both functionality and reliability, Lambert’s Yard’s predicament encapsulated one of the more difficult challenges facing many modern retailers; choosing the right solution, one ideally suited to the various challenges presented by any integration between what we now term “bricks and clicks” operations. Having been restricted and disappointed by their previous platform, Touchretail helped make the move to TRIMS a simple and painless task with product data easily imported through spreadsheets and the platforms in-built migration tools. Lambert’s Yard also made the decision to replace their iPad with a modern, robust EPOS bundle, which is undoubtedly a better solution for a main EPOS terminal. With the addition of our Magento connector, the updated website now acts as a unique destination for emerging and established independent brands; Blood Brother; Humanoid, Antipodeum, Edie Mac and Wool and the Gang to name but a few.